Winmate's line of multi-touch panel PCs go beyond that of the standard industrial panel computers with elegant and edge-to-edge designs, rugged construction, powerful performance, and flexible mounting options. 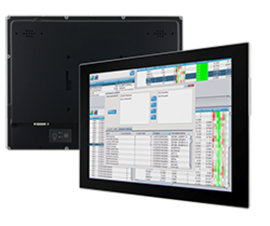 Whether used for factory or building automation, Human-Machine Interface (HMI), point-of-information kiosks, hospitality, or air traffic control, Winmate's series of advanced multi-touch panel PCs are built to withstand the rigors of harsh environments while improving efficiencies and performance. The brilliant True Flat screens, which offer superior readability and PCAP technology, are available in sizes ranging from 10.4", 15", and 21.5". Capacitive touch keys give users quick and easy access to the information they need. Multi-touch capabilities have also been added to provide greater control and flexibility, making this rugged panel computer a reliable solution in a variety of scenarios where Human-Machine Interface is used. 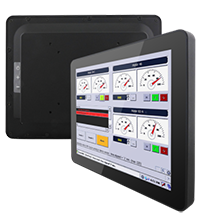 Winmate's multi-touch, industrial panel PCs are designed to be simple and straightforward. The fanless design and integrated Intel 1.83GHz N2930 Baytrail processor means low-power consumption without compromising speed or performance. Using the Intel Bay Trail processor with the optional Windows Embedded 7.0/8.0 makes for an exceptionally quick PC. 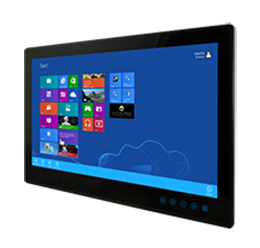 The touch screen comes in projected capacitive touch and hardware options include a DDR3L 1066/1333 MHz SO-DIMM Slot (8GB), one USB 3.0, one USB 2.0, one RS232/422/485 serial port, two RJ45-10/100/1000 LAN ports, as well as a mini PCIe slot (for wireless module and SATA SSD). These devices are designed to withstand the toughest industrial conditions while maintaining high performance and low-power consumption.